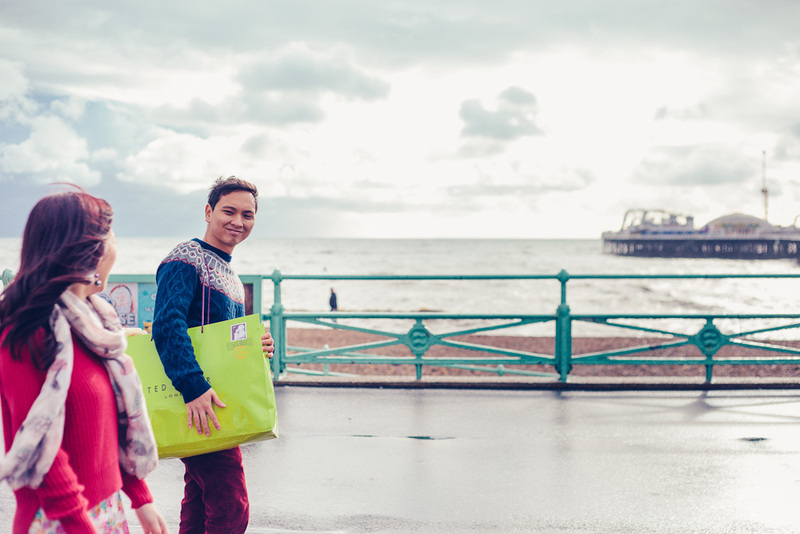 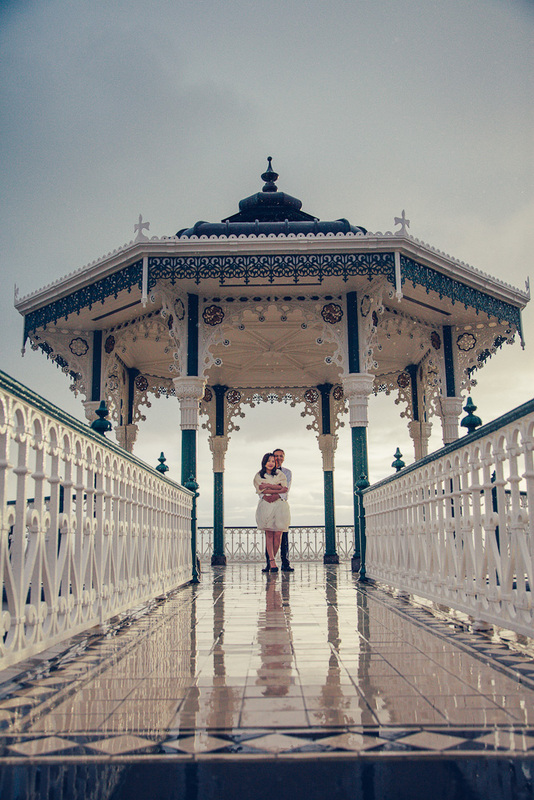 Brighton is one of those beautiful places that was made to be captured on film… or in this case, pixels. 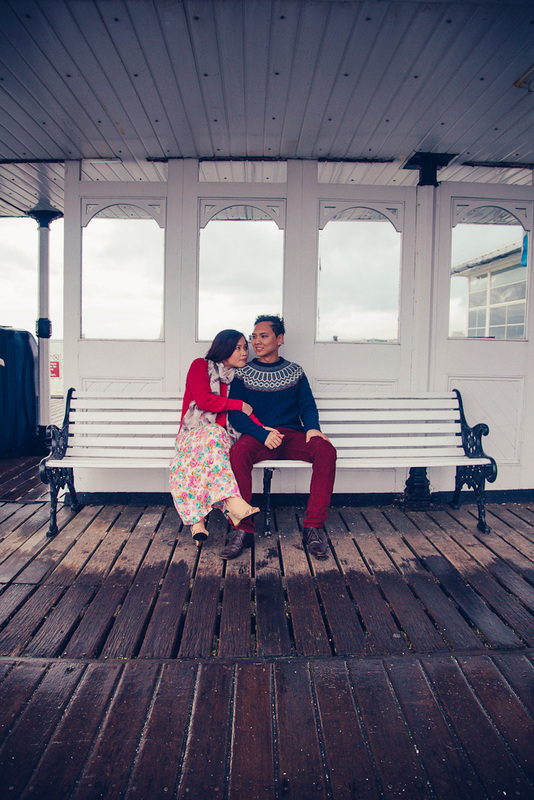 It has that nostalgic, English seaside vibe about it, that retro style that just works in a photo. 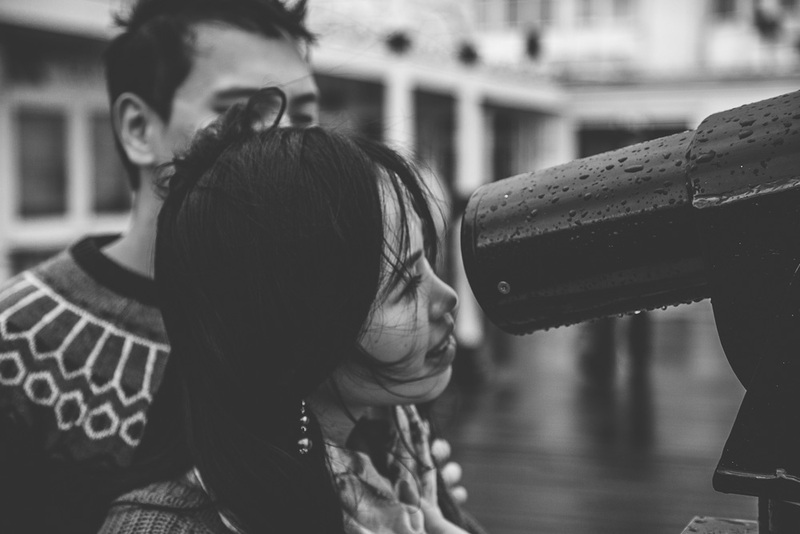 I’m sitting in the Coho Cafe preparing for the shoot and outside it’s just started pouring with rain, which gets me wondering if Katie and Chi are still going to be up for doing the shoot? 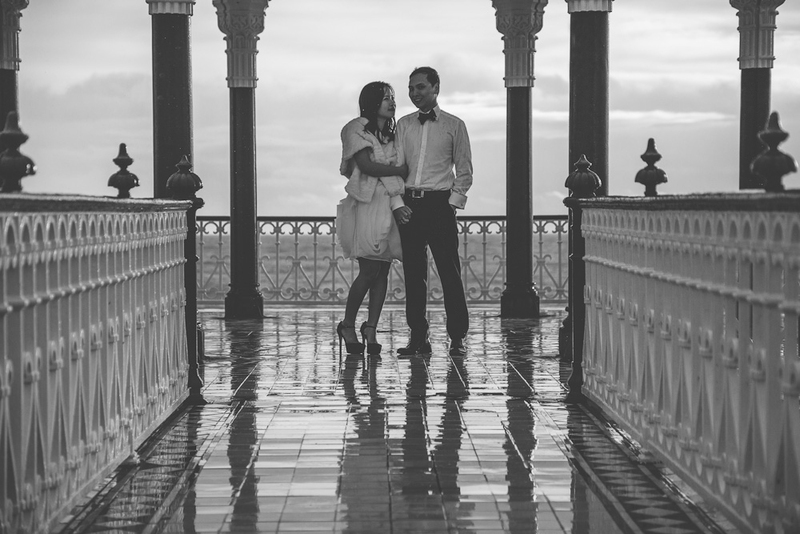 They arrive and excitedly walk in, oblivious to the rain and excited to crack on. 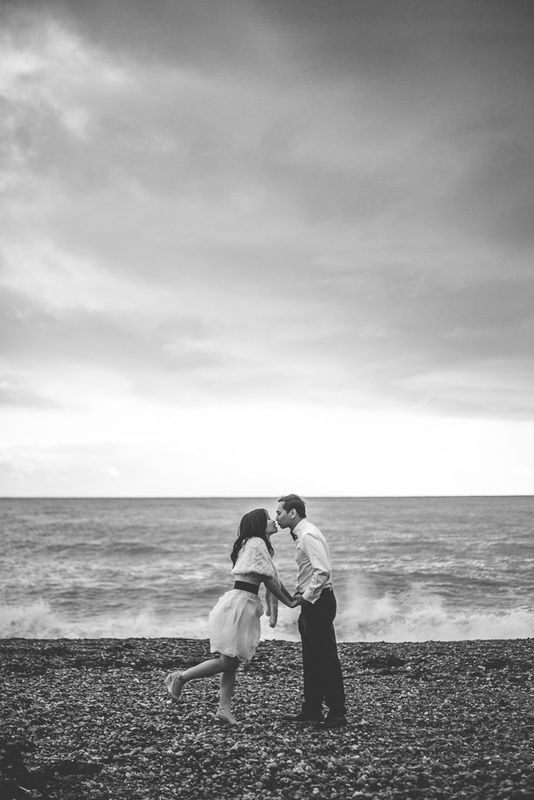 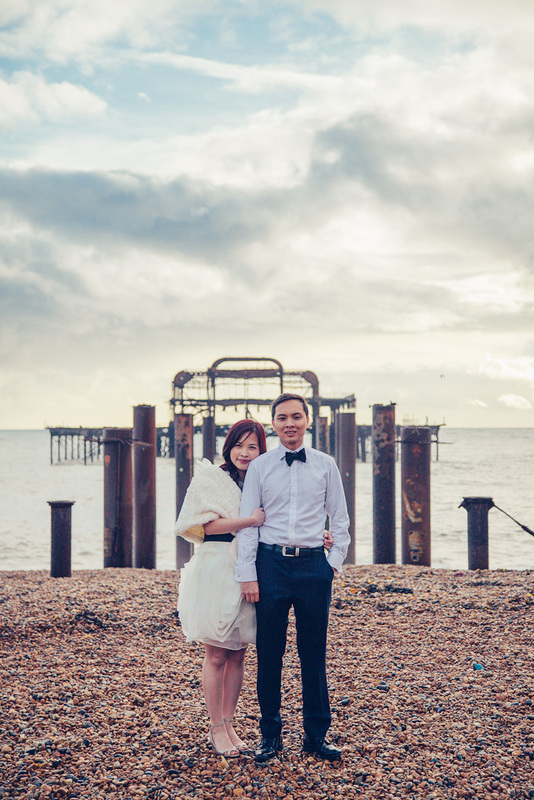 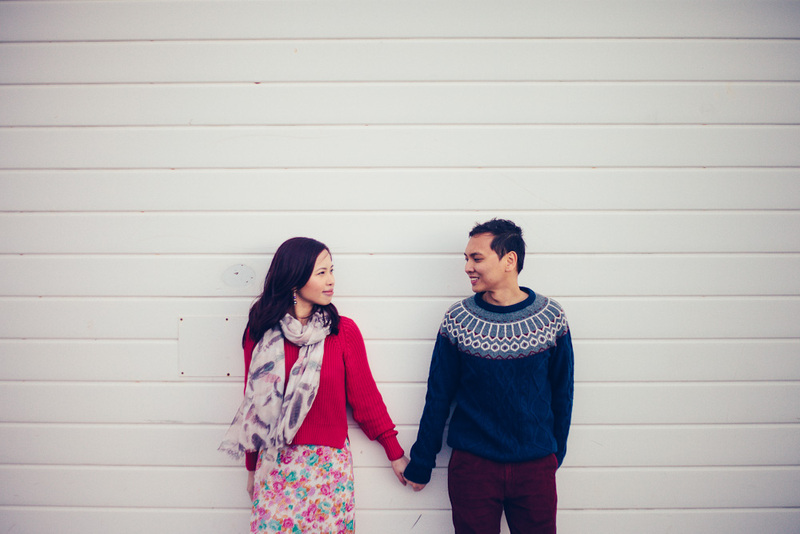 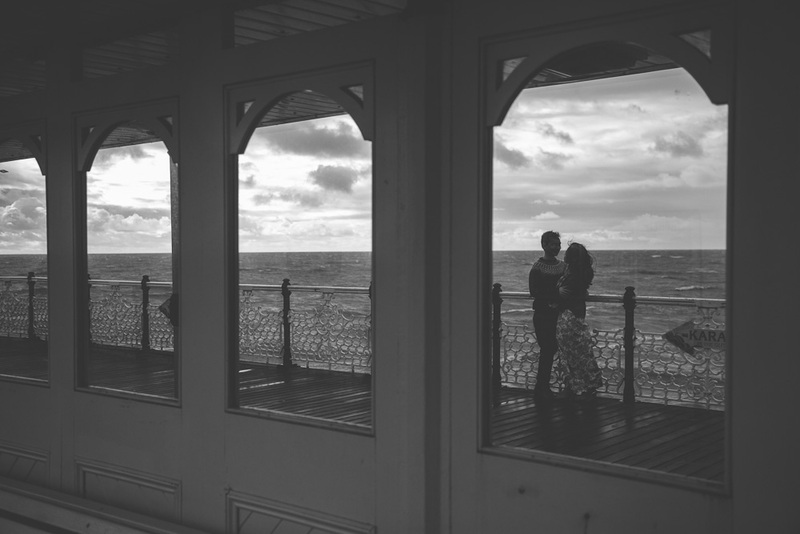 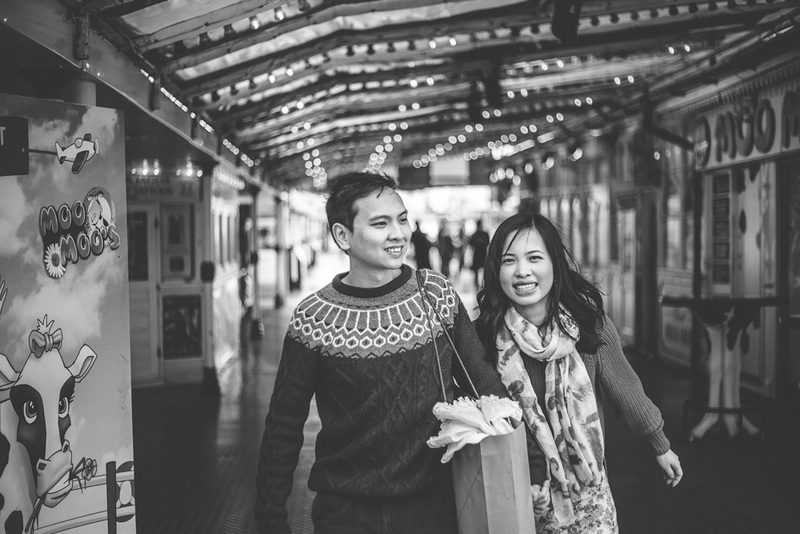 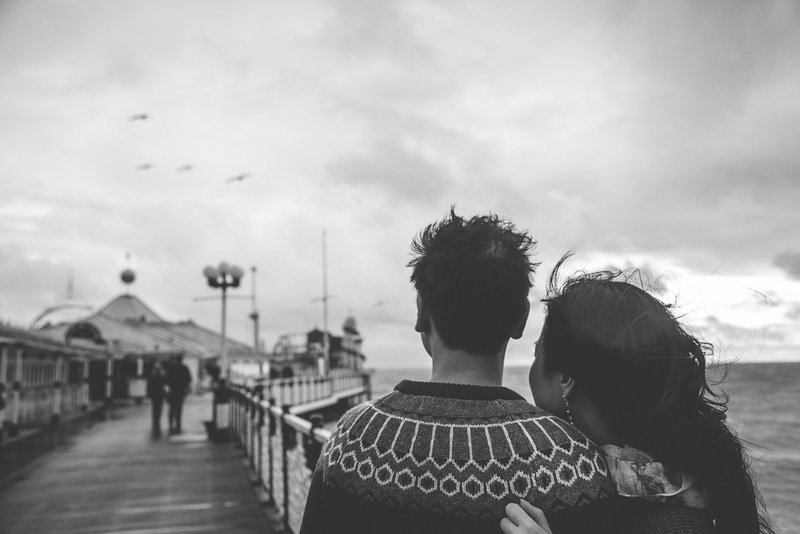 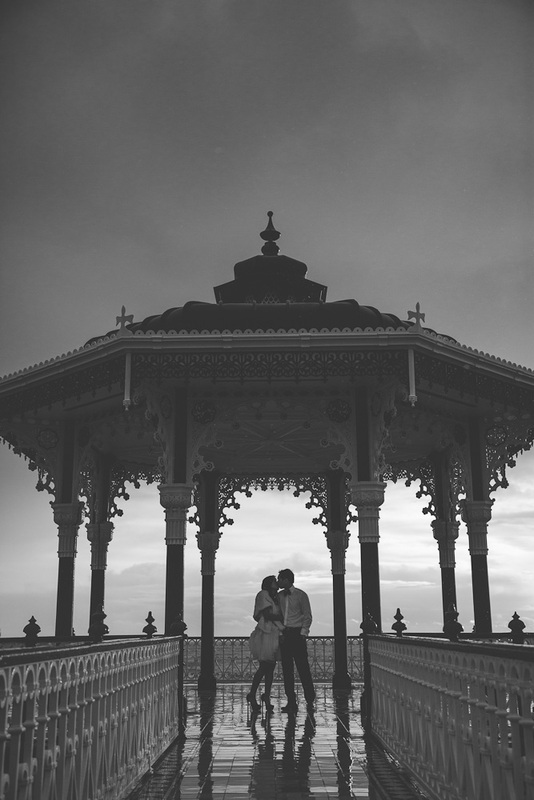 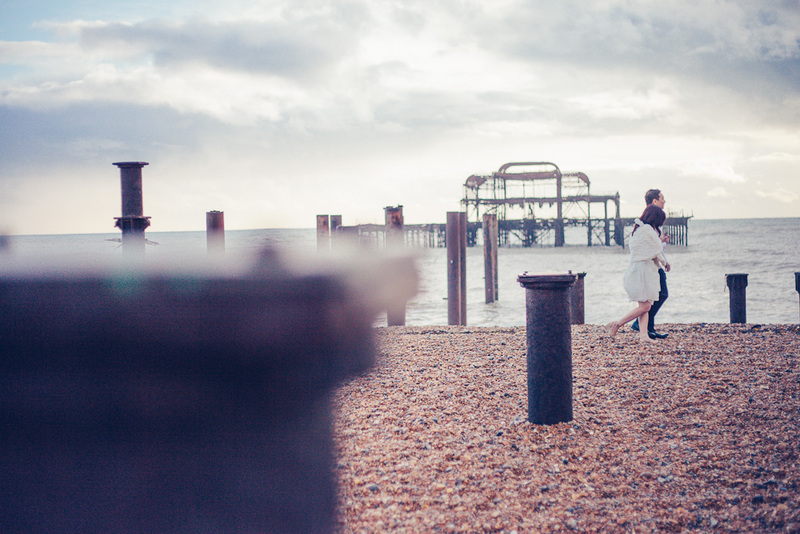 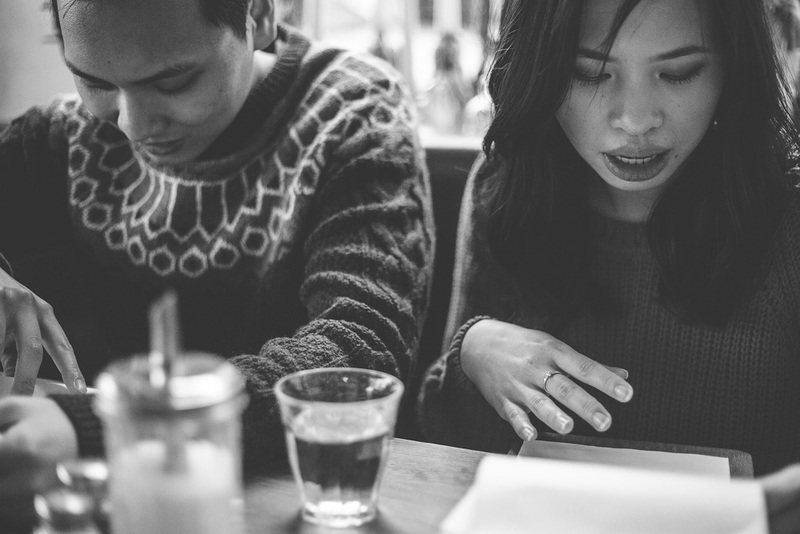 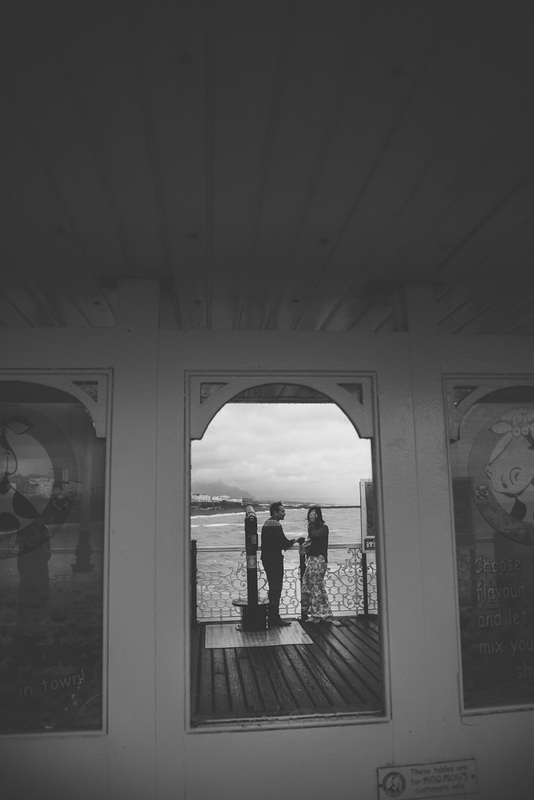 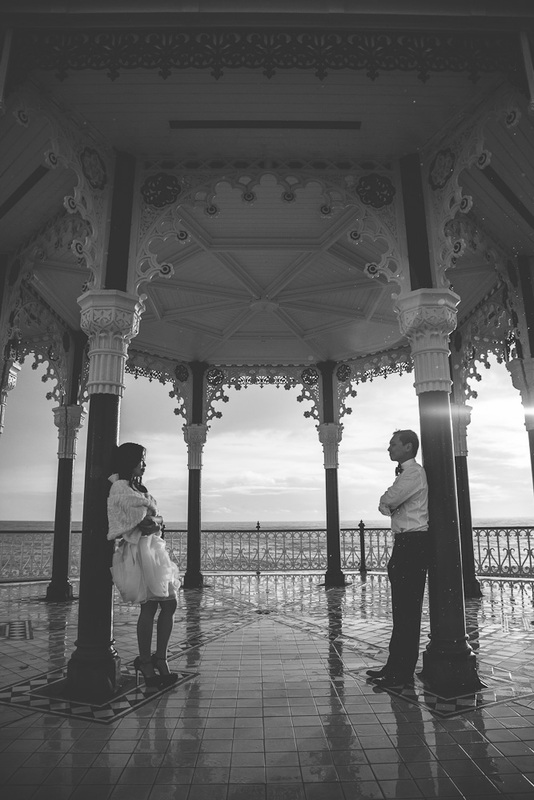 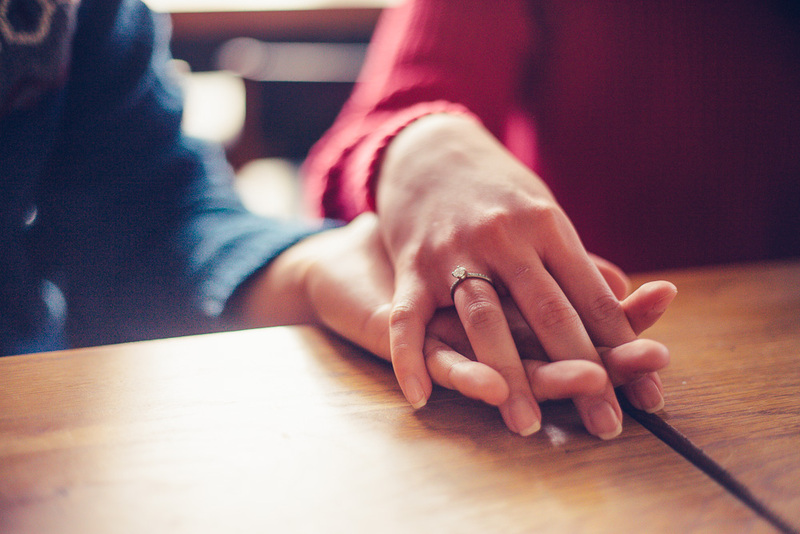 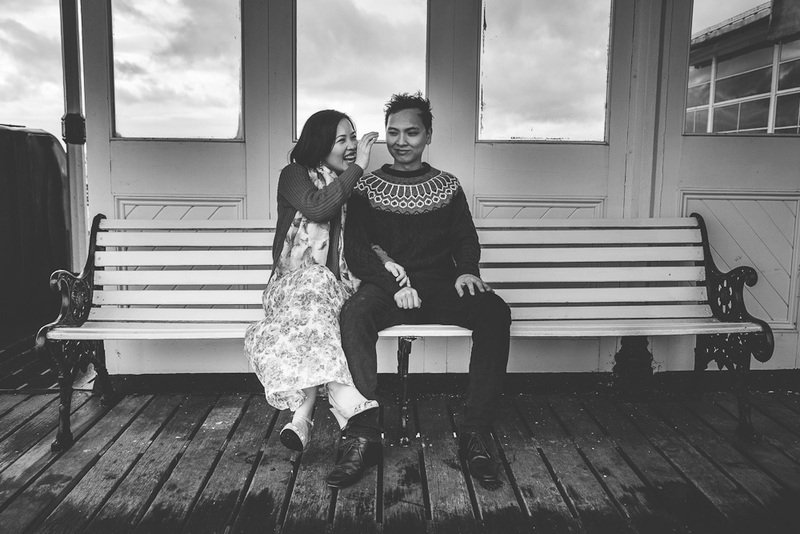 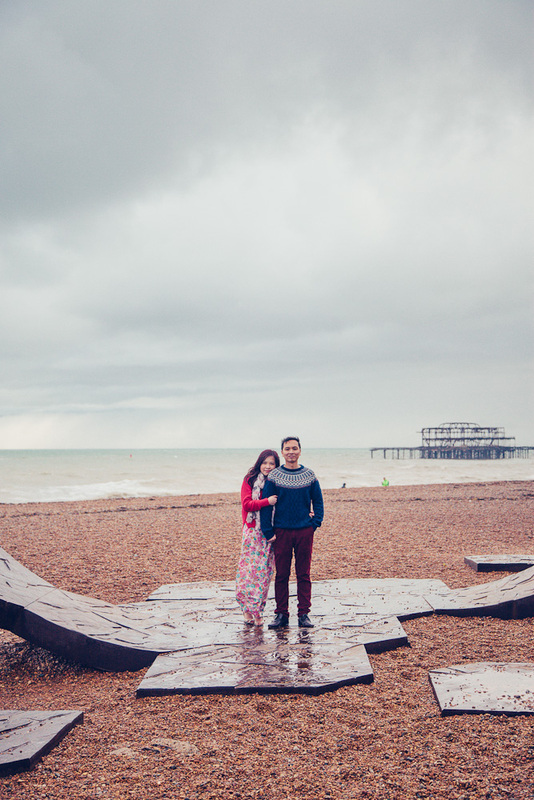 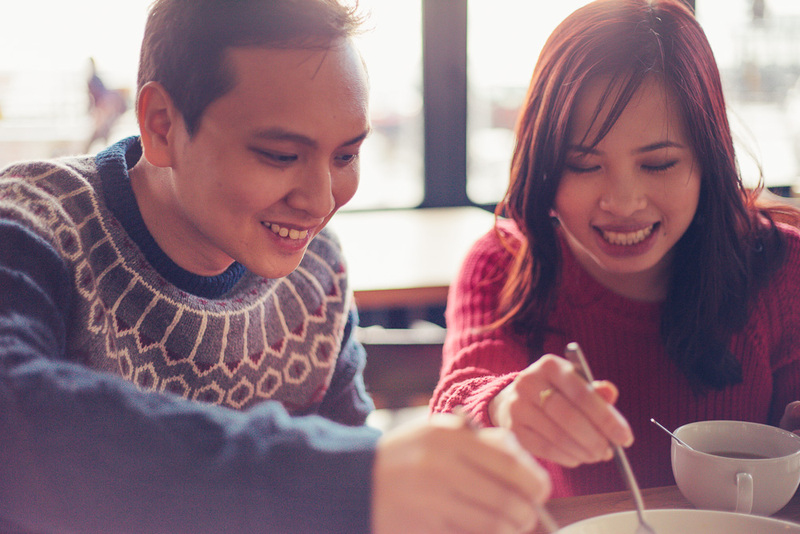 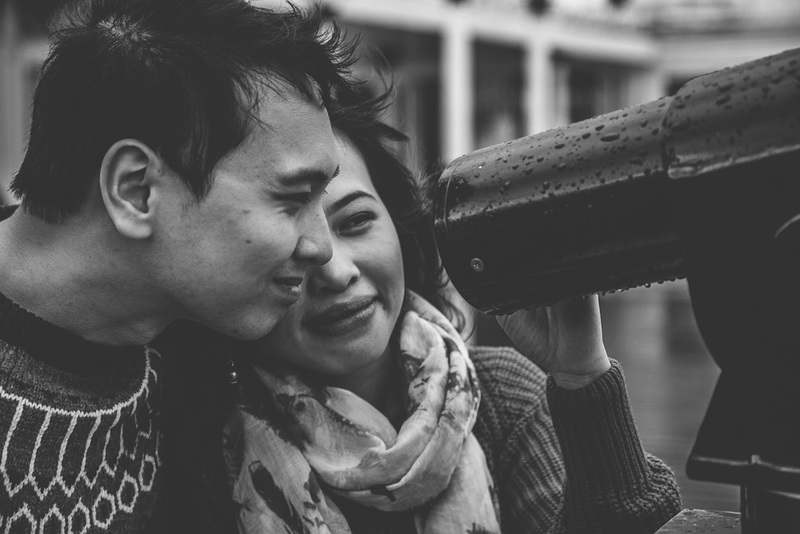 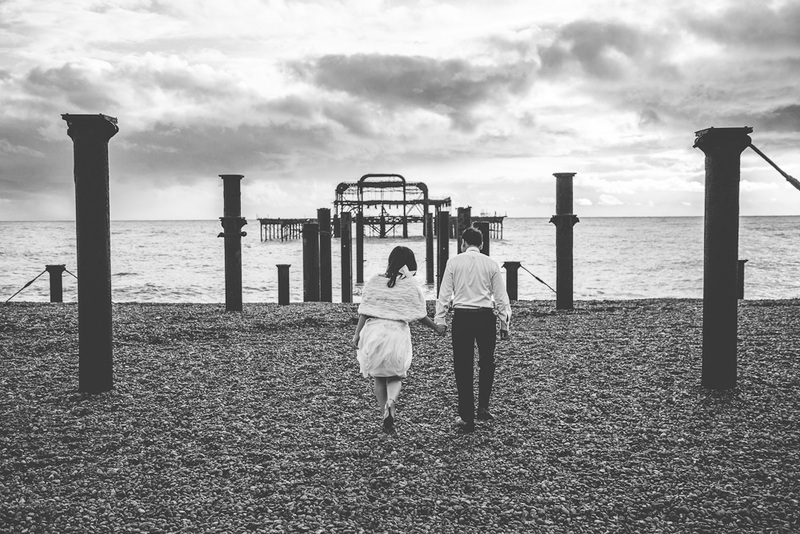 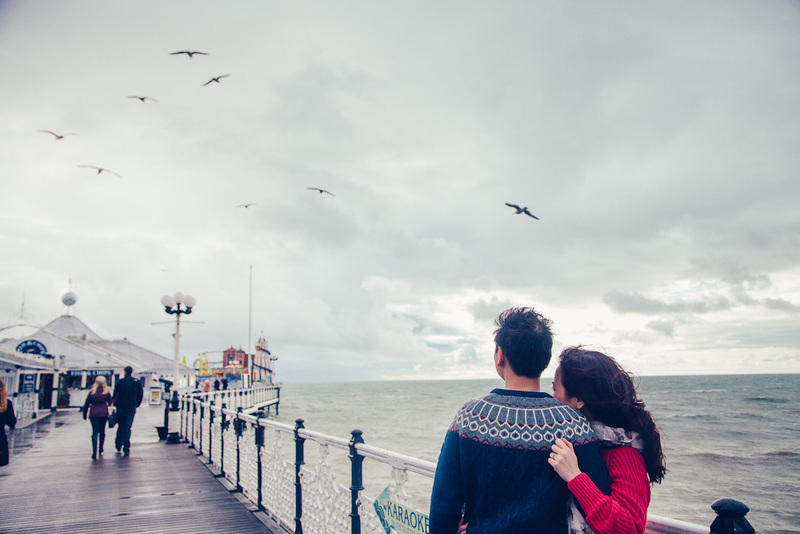 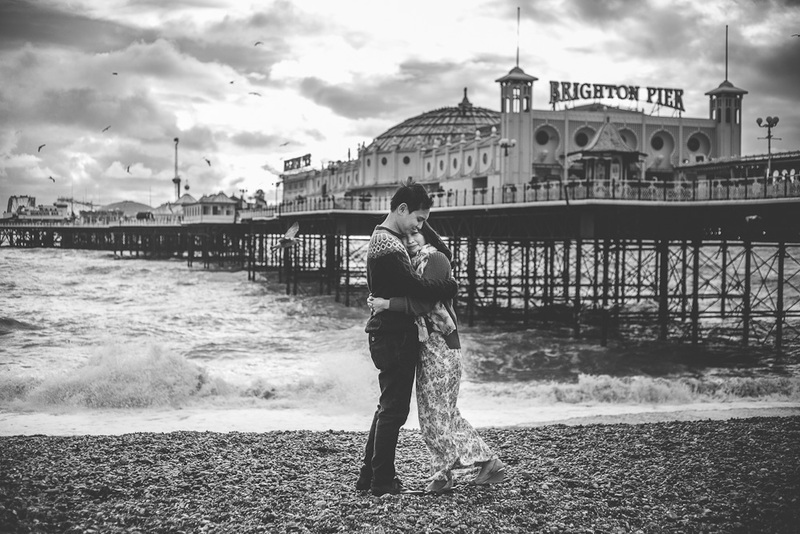 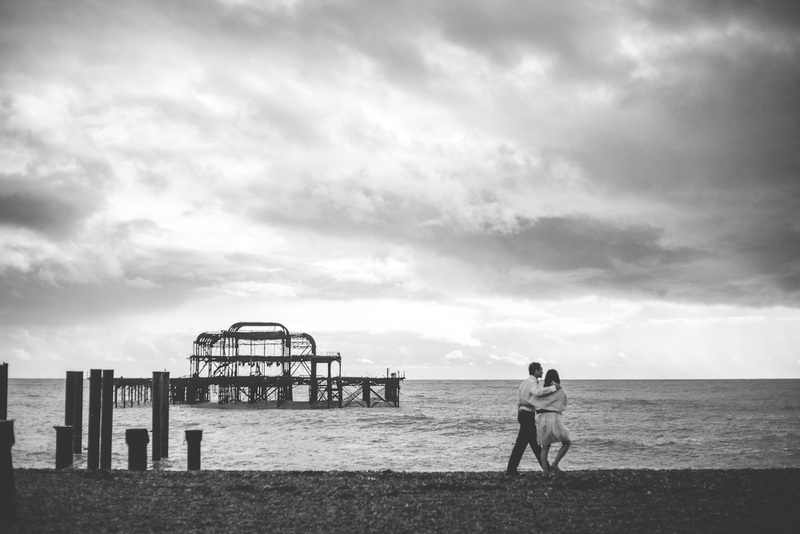 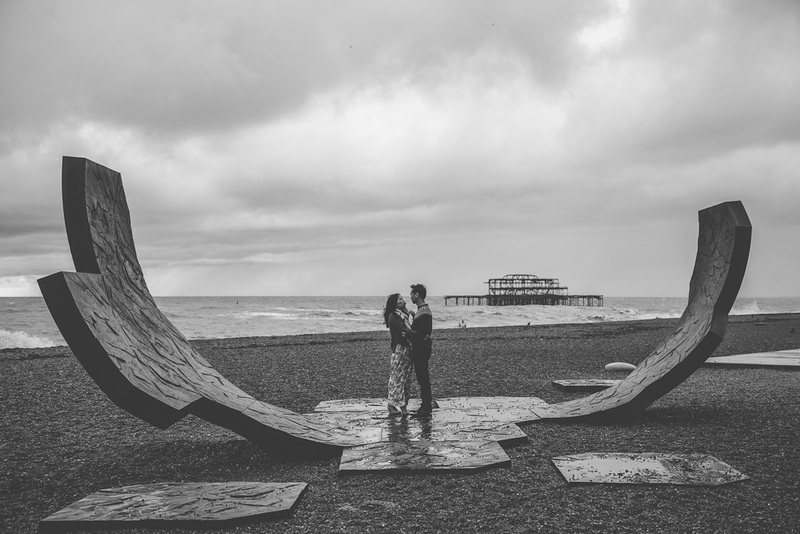 Having met at a college in Brighton seven years ago, Katie and Chi thought Brighton an ideal place for their engagement shoot and I totally agree. 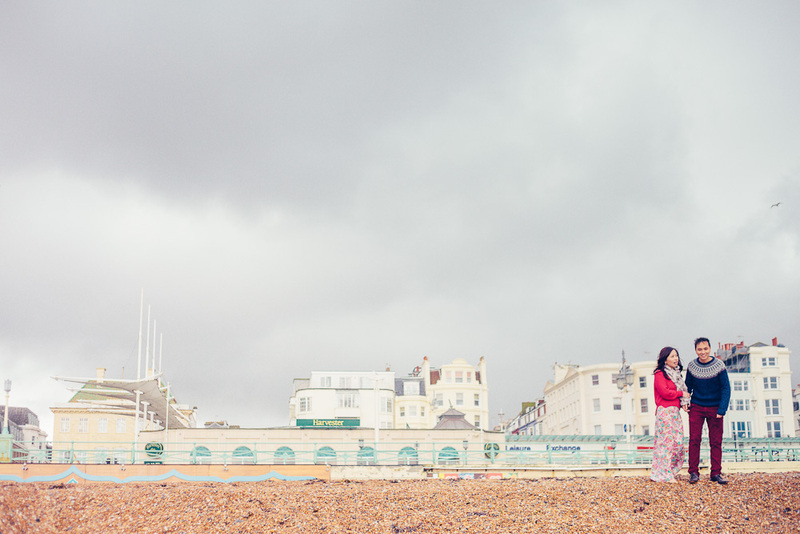 The intermittent rain and drizzle did mean that the pier and the beach were both quite deserted which was great, Brighton on a sunny day would have been near impossible to shoot without getting photo bombed by about 12 different people! 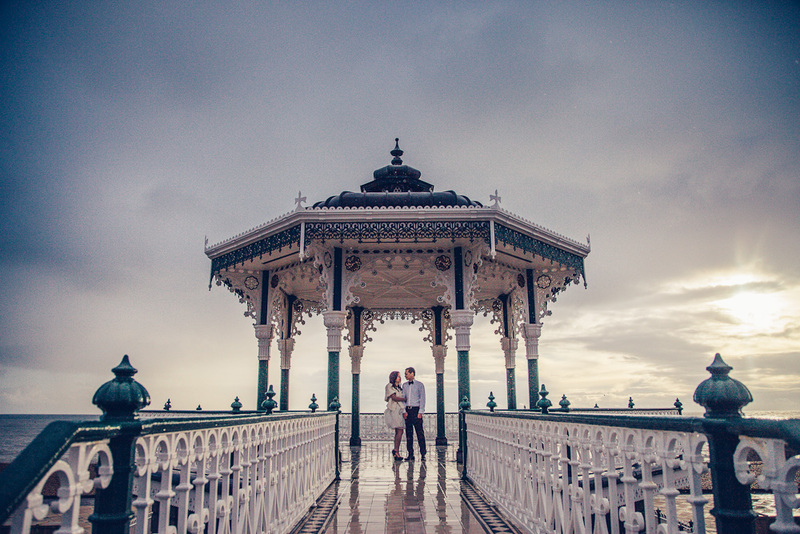 So whilst the weather wasn’t ideal it did help in other ways, not to mention those stormy clouds in the distance, what a backdrop! 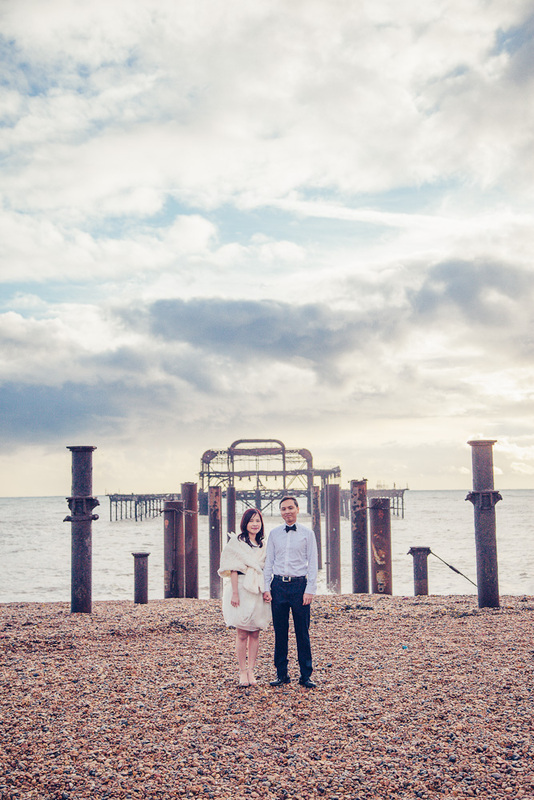 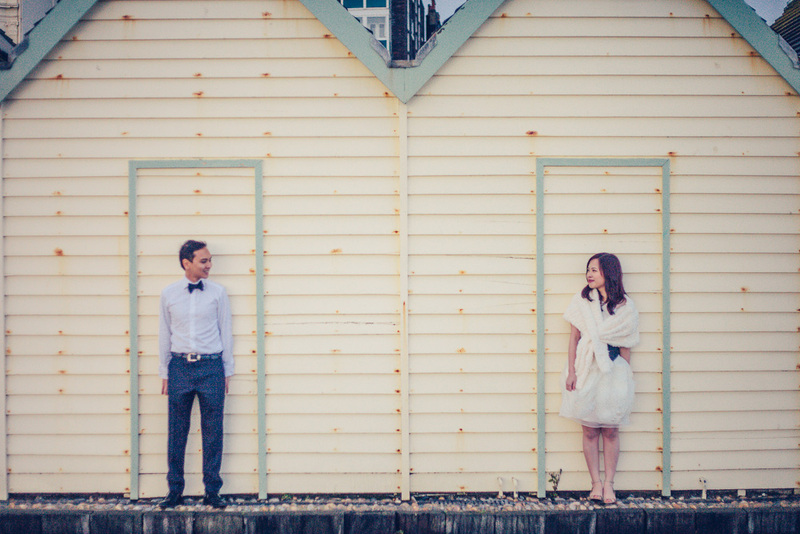 Katie and Chi were great sports, and I wish them all the best for their wedding in Vietnam in December… far, far away from this English seaside weather.